Slice one pepper into 1/2 inch rounds. 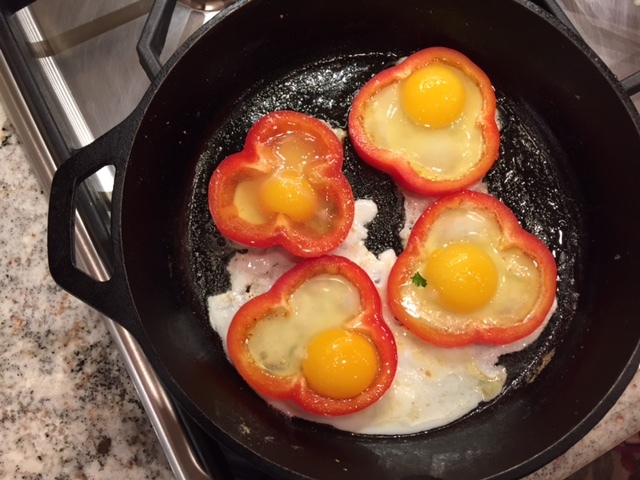 Place the peppers on a seasoned griddle for 1-3 minutes and then crack the eggs directly into the peppers. Cook to preference and enjoy!